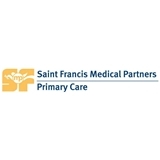 Saint Francis Medical Partners - Cordova (Arlington) - Book Appointment Online! Our Family Medicine physicians offer healthcare services for all the members in your family -- infants, women, men and children. Services include annual health exams, well visits, immunizations, screenings and preventive care. We also treat Hypertension, Diabetes, High Cholesterol, we look forward to caring for you and your family. We got the appointment we needed, after school and same day at the Arlington office, which is five minutes from our home. Very convenient! I was able to make the appointment on this site online, which was easy. Everybody in the office is very nice and helpful. We were seen quickly and Michelle Smothers was reassuring and took the time to listen to all our concerns, and then quickly gave us a plan to manage my daughters asthma.